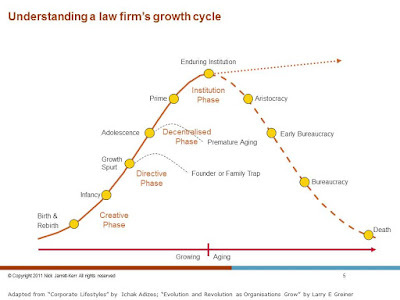 Financing Law Firms: New Law versus Old Law: Good or Bad? It seems to be the season of law firm/business surveys. We're hearing a lot about New Law, pushback from clients, less for more and so on. Smith & Williamson, an accounting firm, have surveyed law firms about their future finance decisions. 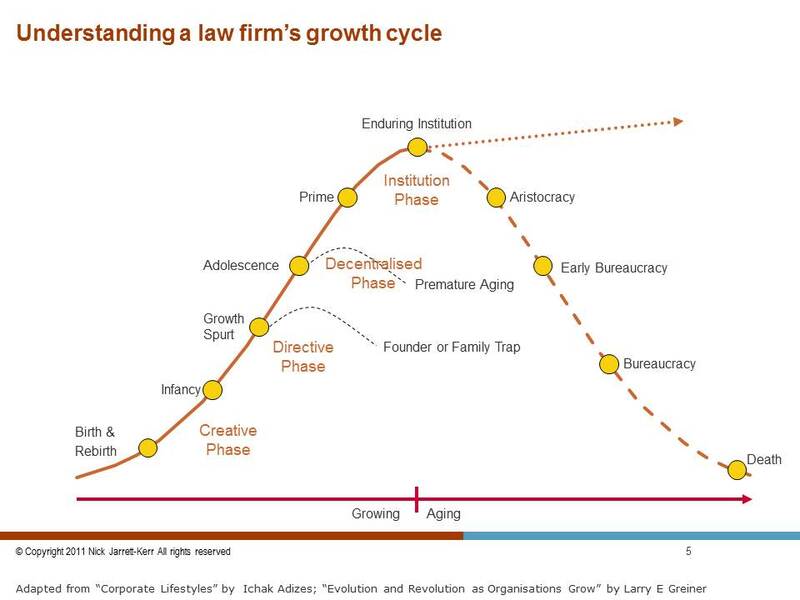 Law firms are facing increasing competition from other firms. This isn't surprising as most below the Magic Circle are fungible. And it would be the same in the US too. The choices are maybe to merge or downsize into a boutique. Indeed it is the boutiques that are causing the competitive pressures on mainstream law firms. Aside from personnel, one of the biggest expenditures for law firms is technology, especially if they are trying to commoditise part of their services--e.g. online term sheets. Altman Weil say their survey found the biggest threat for law firms was CCCT (competition, commoditisation, competition [from alternative suppliers], and technology. Calls for capital contributions from partners and overdrafts are primitive ways of funding the future. The Legal Services Act 2007 gave law firms (or more strictly legal services providers) the opportunity to become Alternative Business Structures so they could attract external investment. Big law hasn't really taken advantage of this yet. The most common form of entity is still the limited liability partnership. None of the big firms have incorporated, because they fear external scrutiny and pressures for change. However, Smith & Williamson found around 32% of their respondents (about 50 of the top 100) were prepared to see private equity as a source of funding. The funding would be used to buy "bolt-on" acquisitions, the boutiques that are the source of frustrating competition for the mainstream firms. I suspect law firms think this type of funding will be easier to control than other kinds. This is speculation but the fact that law firms haven't yet incorporated or gone public (pace Slater+Gordon) suggests to me that either they don't know how or don't want to subject themselves to market disciplines. Given private equity works on a three year timeline to exit, I can't see them taking a back seat on financial decisions in the law firm. Cost cutting, commoditisation and asset stripping are the usual weapons of private equity, so I don't see law firms being immune. And of course the private equity investor's favourite investment technique is debt loading. Law firms are used to being encumbered with debt as that's what they do normally. PE debt will be fiercer. So as much as law firms think of themselves as businesses, and they are, in many ways they are still immature in matters of the market. If they don't start to learn market disciplines and see themselves as something other than chummy clubs, when they go to market [I considered a number of metaphors here from dull to unprintable, so insert your own] it will be a case of, to use Goffman's phrase, "cooling the mark out".